One of the biggest concerns of investors who ask us for advice regarding their property investments is the worry of potential void periods and the impact on their cash flow. The most effective risk management strategy for voids is in the careful selection of the correct investment property. Well located, attractive properties that are suited to their surroundings tend to have much lower vacancy rates than poorer located less attractive properties. By purchasing though Property for Life you can be sure that you are getting the very best rental properties, in the very best locations. However, vacancies will occur even with the best properties. Without doubt, engaging a competent property manager will minimise your void period as property managers have access to a greater range of potential tenants than landlords who are trying to lease the properties themselves. Remember that wherever you purchase your property, we can put you in touch with well respected local agents who have extensive knowledge of the market in their particular area. It is also critical to keep your property in a well presented condition both inside and (in the case of houses) out. After seeing a property on the internet many tenants drive past the property prior to ringing the agent. If it is unattractive from the outside they just drive straight on to the next one on their list. So if your property is vacant a few hours spent sprucing up the garden could work wonders. In the case of apartments, it is important to make sure that the management company suitably maintains the external and communal areas of the building. Currently, one of the most difficult recommendations we make is to advise our clients that they should not increase their rent when their property becomes vacant. Often, the best course of action is to lower the rent slightly, say £5 or £10 a week to meet the market’s expectations. What we try to explain to them is that dropping the rent is better than having another week’s vacancy. Think about it, if your property rents at £250 a week, for each week it is vacant you loose £250. This is about equivalent to a reduced rent of £5 a week over a 12 month period. 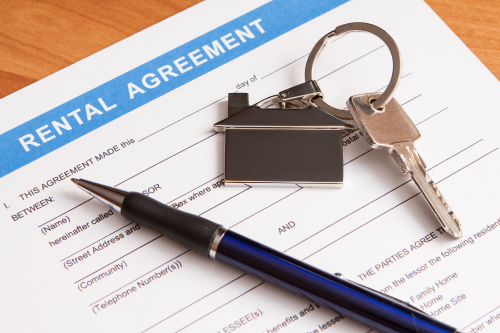 Isn’t it better to have a tenant in the property and then increase the rent in 12 months? In some areas where there is an abundance of properties we also recommend that landlords give incentives, such as one week’s free rent. Prior to Christmas, which is traditionally a slow time for renters, one landlord was actually offering a free DVD player to any new tenant who signed the lease in the month of December. So you can see that the key to letting your property quickly is to be realistic with your asking price, adjusting it in response to the market conditions. In addition, creativity will enable you to gain an edge over your competition, so get those ideas flowing.